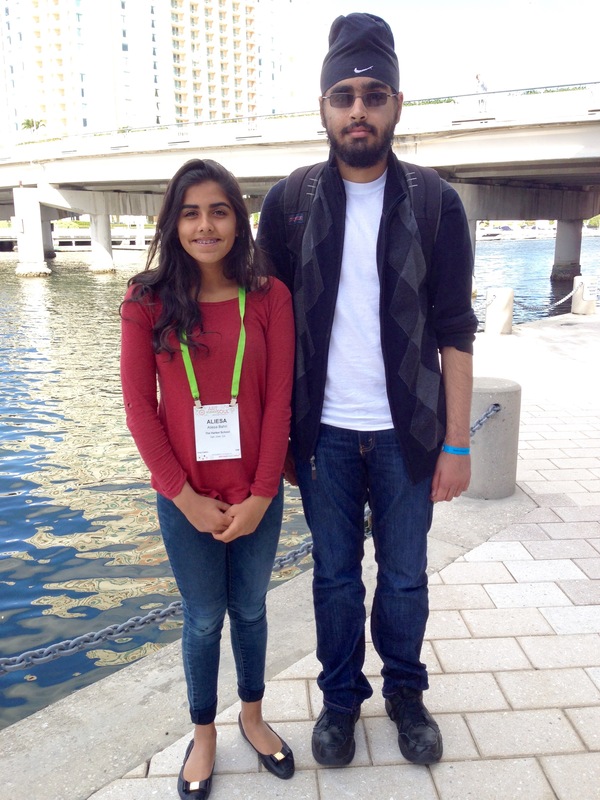 Last week, Ameek Singh, grade 12, and Aliesa Bahri, grade 10, headed to Tampa, Fla., to attend the People of Color Conference and the Student Diversity Leadership Conference, both organized by the National Association of Independent Schools. Also in attendance were upper school art teacher Pilar Aguero-Esparza, upper school history teacher Mark Janda and kindergarten teacher Katherine Lo. Speakers at the event included Mae Carol Jemison, the first African-American woman in space, and Mahzarin Banaji, a noted Indian-American social psychologist who was key to the development of the implicit-association test, which measures how strongly a person automatically associates between two representations of objects. “Banaji presented from her extensive research on unconscious bias and discussed ways we can examine ourselves to become more discerning of our own attitudes and beliefs,” Aguero-Esparza said. Toward the end of the conferences, the Harker students and teachers met to discuss how the lessons they learned could be applied at Harker. “It was exciting to hear their ideas and see their enthusiasm for what they want to bring back to school and how they want to help lead our community to engage in diversity work,” Aguero-Esparza recalled. During these discussions, Singh and Bahri mentioned that they would like to present to Harker students on their experience at the conferences and also create a club dedicated to the topic of diversity.